Little Angel with Kitten. 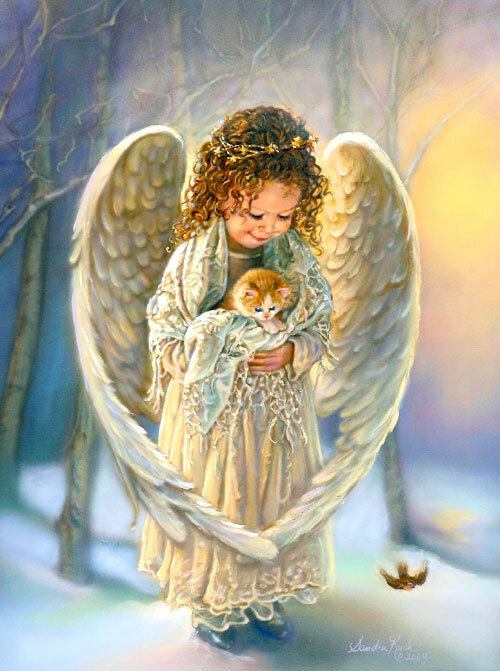 A beautiful Angel with a kitten da Sandra Kuck.. Wallpaper and background images in the angeli club tagged: angel kitten child angel art sandra kuck. This angeli photo might contain piccione viaggiatore and piccione di elemento portante.